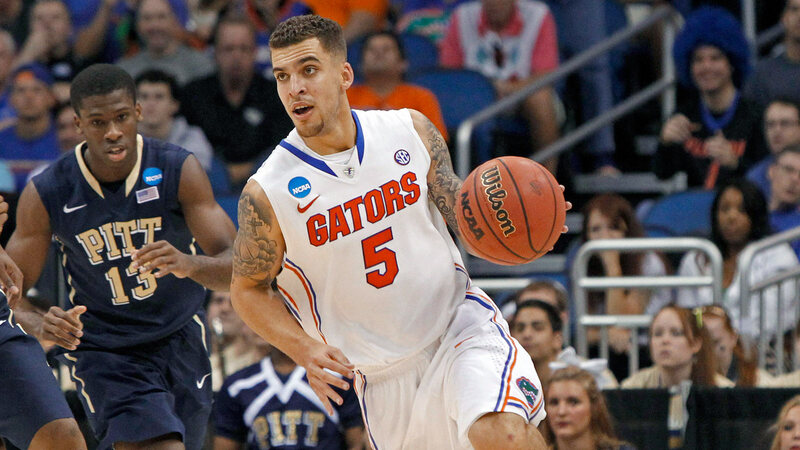 ORLANDO, Fla. — Nine months ago, Scottie Wilbekin was at a crossroads. Suspended for the second time in as many seasons for an unspecified “violation of team rules,” the Florida senior guard and Gainesville, Fla., native didn’t know what his future was with the Gators, if he had one at all. Things got so bad between Wilbekin and coach Billy Donovan that Donovan even suggested Wilbekin might be best served to just finish his career with another program. The path back wouldn’t be easy, however. It started with a five-game ban that included the Gators’ November loss to Wisconsin, one of just two Florida defeats this season. It also required Wilbekin to move back in with his parents to help keep the 20-year-old distraction-free as he tried to regain the trust of his coach and teammates. Loss costs Coach Cal $375K . . .
. . . and is he leaving Kentucky for Lakers? Video: Where does Kevin Ollie go from here? One last look: How'd you do with your picks? In the end, though, the message got through, and on Saturday it was Wilbekin, seemingly reformed and moved on from the issues of last summer and the year prior, who led the Gators with 21 points in the team’s 61-45 win. Wilbekin’s defensive effort Saturday was certainly admirable, holding Pitt star Lamar Patterson to just eight points on 3-of-11 shooting. But it was on offense where Wilbekin truly starred, taking command against a physical Pitt unit hell-bent on disrupting the Gators’ flow. Wilbekin started by making a 3-pointer on his first shot attempt, but his impact was first truly felt at the end of the first half, when he made a running, buzzer-beater 3 to give Florida a 27-22 lead going into the break. In the second half Wilbekin picked up where he left off, at one point scoring 13 of 15 Florida points as the Gators kept a Panthers rally at bay. 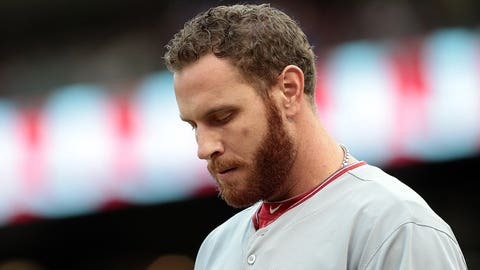 Ken Rosenthal says Josh Hamilton's relapse should not have been made public -- regardless of whether he was suspended. And it’s probably no coincidence that Wilbekin, who started his career at Florida as a 17-year-old freshman after graduating a year early from high school, is at the top of his game now that his issues seem to be behind him. Florida hasn’t lost since Dec. 2, a span of 28 games, and, indeed, it seems they’re only getting better as the season draws to a close. Many have them penciled in as a favorite to win the entire NCAA tournament — which would represent the third national championship of Donovan’s career — but if they’re going to do that, it’ll be on Wilbekin’s back. Should the top-seeded Gators advance to the national semifinal, it’ll take place on Wilbekin’s 21st birthday, and for a guy who has been put through the wringer over the last couple years, a win would be a fitting ending to a senior season that nearly wasn’t. Donovan, it seems, couldn’t agree more. The methodology behind Wilbekin’s personal transformation may have been unconventional — not every coach tells a senior starter he should shape up or get out — but with the benefit of hindsight, the gamble was completely worth it. You can follow Sam Gardner on Twitter or e-mail him at samgardnerfox@gmail.com.